High-resolution, very deep colour image of a field in the South of the Centaurus A galaxy halo. 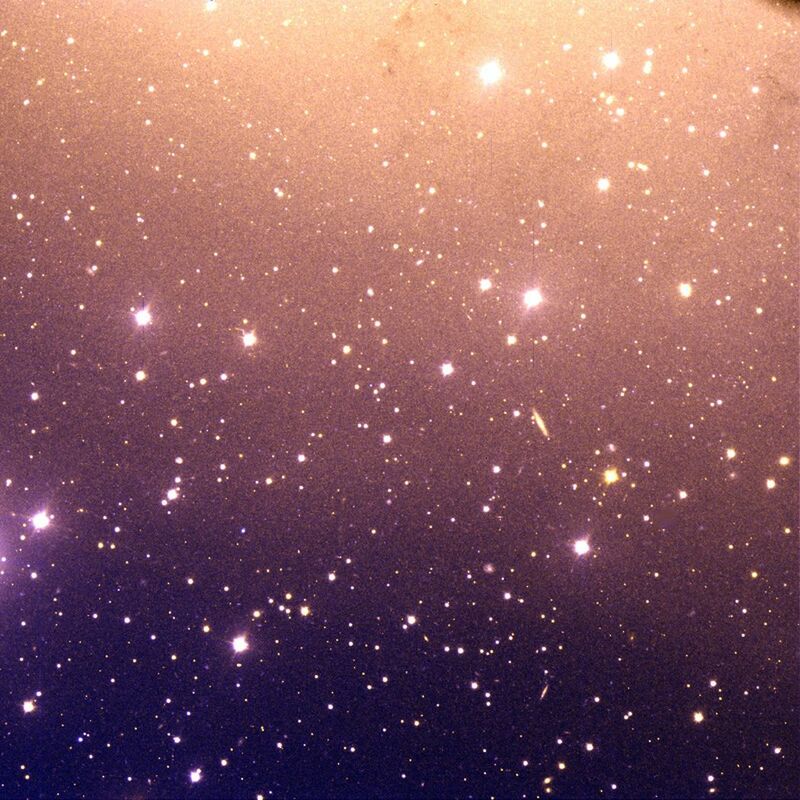 This image was taken in July 1999 through U- and V-band optical filters with the VLT FORS1 multi-mode instrument at the 8.2-m VLT ANTU telescope on Paranal. Note the great variety of object types and colours, including many background galaxies which are seen through these less dense regions of Centaurus A. The total exposure time was 30 min in each filter and the seeing was excellent, 0.5 arcsec. The original pixel size is 0.196 arcsec and the fields measure 6.7 x 6.7 square arcmin (2048 x 2048 square pix). North is up and East is left.